Organizations recognize the importance of implementing governance, risk management and compliance (GRC) into business operations, but often struggle with how to put these principles into practice. 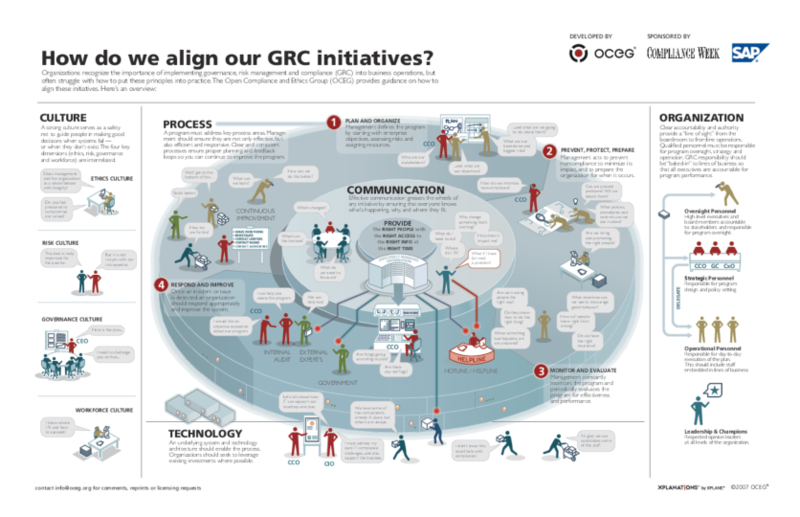 This illustration provides guidance on how to align culture, process, communication, organization, and technology to achieve integrated GRC. We have emailed instructions to access Illustration – How Do We Align Our GRC Initiatives to . Make sure the email arrives in your inbox: either add "support@oceg.org" as a safe sender to your email platform, or if you use Gmail, drag our email into your Primary tab.